BrandsTek.com is offering premium election brand domains GOPforum.com and MyVoteIs.com to the highest bidder for a limited time. Names will be sold to first bidder that meets the reserve price set. 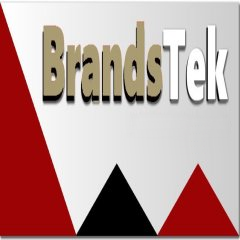 CLEVELAND - July 19, 2016 - PRLog -- BrandsTek.com, a digital marketing and digital brand consulting agency, has announced that they are offering two premium political domains MyVoteIs.com and GOPForum.com at auction. According to Scott Alliy, a domain name and Internet marketing professional since 1995, the 2016 Presidential election is sure to be contentious and the high level of interest and participation make this a great time to own, develop and monetize MyVoteIs.com and GOPForum.com. The highly targeted information produced from these sites is golden to the right organization, says Scott, and the specific purpose of the sites greatly enhances the revenue generation prospects from ad space on the sites. Beyond the 2016 election, both brands and apps and websites built upon them have ongoing purpose and high profit potential. Specifically, MyVoteIs.com presents endless opportunities for local, national, and global elections, not just for political races but on propositions and other issues like the recent Brexit vote. Beyond elections, Scott sees applications for MyVoteIs.com for talent contests and much more. We specialize in helping existing businesses find and buy strategic domain names to build, grow and protect your business. We can also help you liquidate brand domains that you no longer need or use using our domain name marketplace at KetMo.com. We help you develop and implement a brand strategy and choose a brand(s) that are specific to your business and will be easy for your target audience to find, remember and share. We also help you find choose and acquire brands designed to accelerate your business growth and protect your market space from competition. : Allied Internet Solutions Inc.